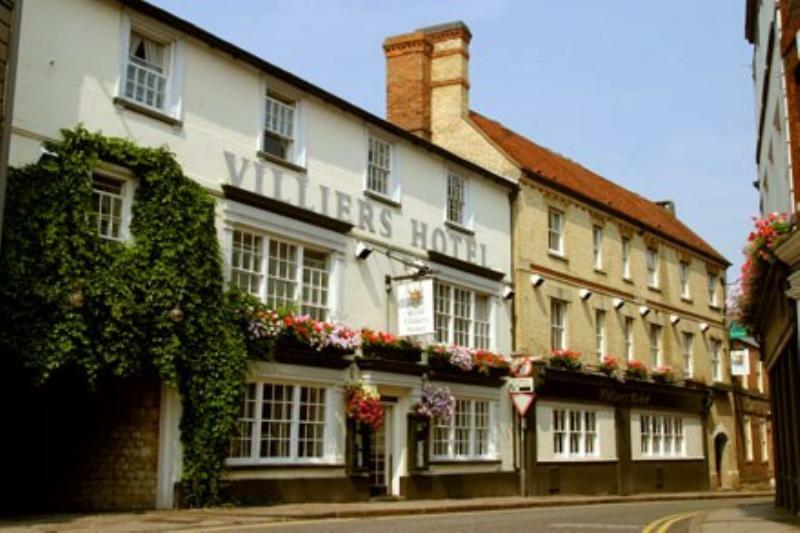 A local landmark since Cromwellian times, the redoubtable Villiers Hotel has seen plenty of changes over the years - although it still retains its magnificent cobbled courtyard and many other original features. The restaurant (formerly Henry's) has been given a contemporary facelift and it now has the feel of a modern brasserie - with lively Anglo-European food to match. You might begin with crispy pork belly with seared scallops and apple purée or hot-smoked salmon with cucumber and dill salad, ahead of sea bass fillet with pak choi, creamed potatoes and rosemary jus, a venison burger or seared lamb's liver with celeriac purée and red wine jus. Finish with - say - Bakewell tart or something more extravagant like damson and Earl Grey jelly with autumn fruit compote and Mascarpone sorbet. Food is also available right through the day in the bar, which still shows off its eighteenth-century heritage: expect club sandwiches, salads, pasta and risottos, plus coffee, real ales and some decent wines by the glass.